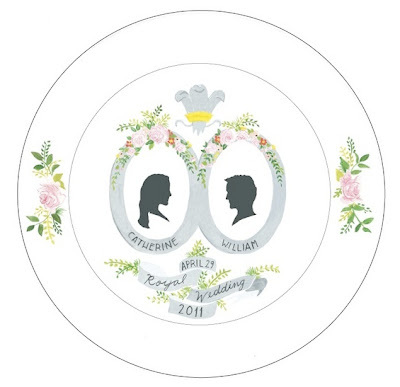 We are excited to wake-up bright and early tomorrow to watch the most brilliant wedding of our generation. We can't wait to see the beautiful bride marry her prince! 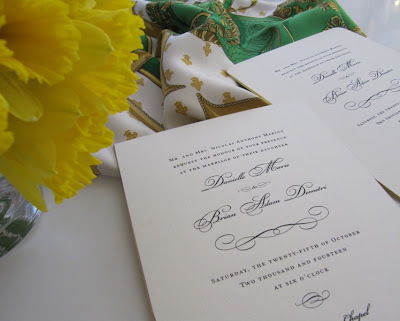 And, for brides-to-be who are planning their own fairytale weddings, we take another look at our Royal Gilt-Edged Invitation Collection—featured in celebration of William + Kate! Thank you for your sweet comment on The Finer Things! I will have my alarm set to go off at 3:59 so I can crawl down to my couch and lay there to watch the coverage leading up to the ceremony! I'm very excited! Stunning!! 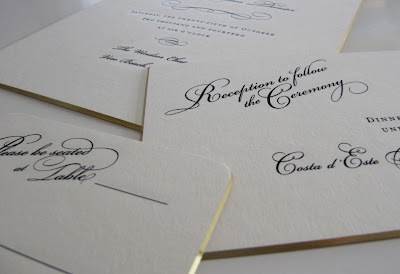 Love the beautiful gilded edge and how luxuriously double thick the paper is. Perfect for a royal bride.